This 1.5-day school will provide overview of energy harvesting devices and systems with special focus on industrial applications. World leading experts will give invited lectures on their main topics. The wide coverage offered by the school will be ideal for Ph.D candidates, industry researchers and practitioners including newcomers to the field, who want to broaden their understanding and knowledge over the field. Each lecture will have a tutorial character while overviewing the state of the art on the topic. After the lectures, a half day tour to a factory is planned. ※Tour of Komatsu Awazu Factory on November 14 is limited to 50 persons. Reservation is accepted on first-come-first-served basis. Bio: Dr. Kioshita was used to be the President of IoT & Cloud Service Business Division, Hitachi, Ltd. He received his PhD in Electrical Engineering from Nagoya University, Nagoya, Japan. When he joined in Central Research Lab. in 1981, he engaged in high speed digital optical and wireless network research. He also enabling digital wireless media and sensor network M2M system. After his status of Director in Central Research Lab, he established corporate venture company of “Wirelessinfo “ in 2006. He contributed especially for social infrastructure IoT/M2M real application and business, of railway, highway, smart city. He was responsible for IoT/M2M business in Hitachi. He also a member of 8 IoT related committees in Government (METI and MPT), and a leader in 6 IoT/M2M technical global standardization bodies or consortiums. Now, he mainly works in Information Processing Society Japan as Secretaly General, and is also Director of Next Generation M2M Consortium in Japan. 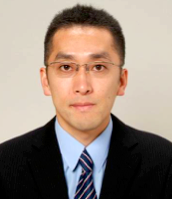 "Wireless Sensing Technologies for Agriculture"
Bio: Yoshihiro Kawahara is an Associate Professor in the department of Information and Communication Engineering, The University of Tokyo. His research interests are in the areas of Computer Networks and Ubiquitous and Mobile Computing. He's not only interested in academic research activities but also enjoyed designing new business and its field trial while joining IT startup companies. He is a technical advisor of AgIC, Inc and SenSprout, Inc. 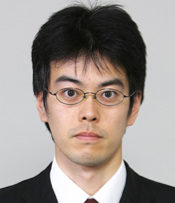 He received his Ph.D. in Information Communication Engineering in 2005 from the University of Tokyo. He joined the faculty in 2005. He was a visiting assistant professor at Georgia Institute of Technology and MIT Media Lab in 2011 and 2013, respectively. 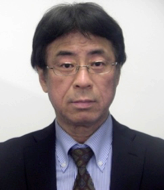 "National Projects on Thermoelectric in Japan"
Bio: Dr. Hachiuma obtained his Ph.D. degree in mechanical engineering from The University of Tokyo in 1995. He worked for Komatsu Ltd. during 1995-2001 as a manufacturing engineer / manager, especially for welding process of construction machinery. Since 2001, he worked for KELK Ltd., especially on thermo-module business. His career in KELK began from manager of production department, then manager of prototype engineering section, deputy general manager of key technology department, general manager of thermoelectric module division. 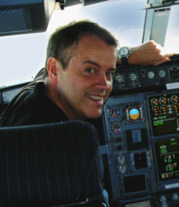 Now he works as a Senior Executive Director and CTO of KELK Ltd.
"Aviation Application of Thermal Energy Harvesting"
Bio: J-M. Dilhac received his Ph.D. degree and the State Doctorate degree in 1983 and 1988, respectively, from Paul Sabatier University, Toulouse, France. 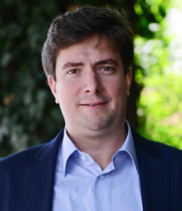 Since 1984 he is with the National Institute of Applied Sciences of Toulouse where he teaches telecommunications, electronics, digital signal processing, and more recently such subjects as energy autonomy of embedded systems. The Laboratory of Analysis and Architecture of Systems (LAAS-CNRS) hosts his research activities. These activities focus on energy management in wireless sensor networks, particularly in the field of aeronautics where he benefits from a long collaboration with Airbus Group. He also serves as a reserve officer in French Air Force. "Biofuel Cell and Self-powered Biosensing System"
Bio: Isao Shitanda is a junior associate professor of Pure and Applied Chemistry at Tokyo University of Science. He received his Ph. D degree in applied chemistry from The University of Tokyo in 2006, and joined Tokyo University of Science. He was a visiting researcher at University of California San Diego in 2010-2011. His major research subjects include printable electrochemistry, printable and wearable biosensor and biofuel cell, electrochemical nano/micromotor, and electrochemical impedance spectroscopy and mathematical modeling. 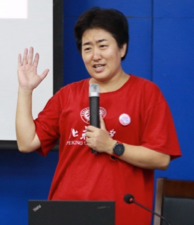 Bio: Haixia(Alice) Zhang, received her Ph.D. degree from the Huazhong University of Science and Technology at 1998, then she spent 2 years in Tsinghua University for her Post-Doc training, and joined the faculty of the Institute of Microelectronics in 2001. Her research fields include MEMS Design and Fabrication, Energy harvesting and applications. She is Senior Editor of IEEE TNANO, IEEE-JMEMS, Microsystems & Nanoengineering, IET MNL, etc. She is co-author of 250+ peer-reviewed publications, co-invented 32 patents (include 5 US patents). She was the founder of IEEE NEMS at 2006 and served as General Chair at 2013 in Suzhou, hosted Transducers2011 in Beijing, and initiated the MINE conferences at 2017. She is chairing of Chinese International NEMS Society and IEEE NTC Beijing Chapter. She won National Invention Award of Science & Technology at 2006, Teaching Award at 2013, Geneva Invention Gold Medal at 2014. 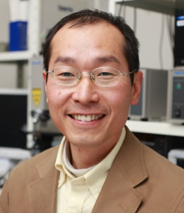 "Piezo MEMS and Piezoelectric Energy Harvesting"
Bio: Isaku Kanno is a professor of Mechanical Engineering at Kobe University. He received his Ph. D degree in engineering from Osaka University. 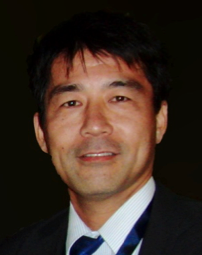 He joined Panasonic in 1991 and engaged in R&D of ferroelectric thin films and piezoelectric MEMS products. In 2002 he was an associate professor of Mechanical Engineering, and in 2005 an associate professor of Micro Engineering, Kyoto University. In 2011 he joined Kobe University as a professor of Mechanical Engineering. His major research subjects include functional oxide thin films, sputtering deposition, crystal analysis by x-ray diffraction, piezoelectric MEMS, microfabrication, and vibration mechanics. 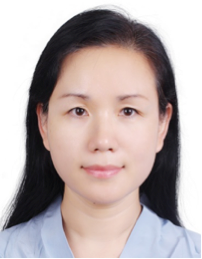 "Vibration Energy Harvesting Using Pieozoelectrets and Electrets"
Bio: ZHANG Xiaoqing received her PhD degree in Condensed Matter Physics from Tongji University, China in 2001. From April 2001 to December 2004, she was as a postdoctoral fellow, working on the dielectric properties of the inorganic dielectric materials and the piezoelectric properties of the polymer films, at Darmstadt University of Technology, Germany. She was an associate professor in the Department of Physics at Tongji University from March 2005 to November 2010. She has been a full professor and the leader of the research group of Electrets and Functional Dielectrics at Tongji University since December 2010. Her interests are electro-active materials and their applications. She has over 100 scientific publications and holds 12 patents. Bio: David P. Arnold is currently the George Kirkland Engineering Leadership Professor in the Department of Electrical and Computer Engineering, Deputy Director of the NSF Multi-functional Integrated System Technology (MIST) Center, and Director of the Interdisciplinary Microsystems Group at the University of Florida. He received dual B.S. (1999) and M.S. degrees (2001) from University of Florida and the Ph.D. degree in electrical and computer engineering from Georgia Tech (2004). His research focuses on micro/nanostructured magnetic materials, magnetic microsystems, electromechanical transducers, and miniaturized power/energy systems. He is an active participant in the magnetics and MEMS communities, including various conference committees and the editorial boards of J. Micromechanics and Microengineering and Energy Harvesting and Systems. He has co-authored over 160 refereed journal and conference publications, and holds 14 U.S. patents. His research innovations have been recognized by the 2008 Presidential Early Career Award in Science and Engineering (PECASE) and the 2009 DARPA Young Faculty Award. He is a Senior Member of IEEE and also a member of Tau Beta Pi and Eta Kappa Nu. Beyond his passion for research and teaching, he most enjoys spending time with his wife and three children. "Broadband Vibration Energy Harvesting Using Two Mass Device"
Bio: Dr. Hitoshi Matsushita earned his Master degree at Tokyo Institute of Technology in 2007. 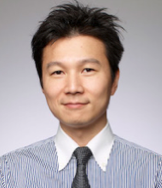 He joined Takenaka Corporation as a researcher at R&D Institute. He earned his PhD degree in 2017. 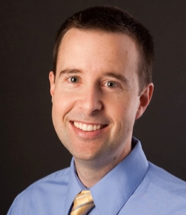 His current research includes active/passive micro-vibration control and vibration energy harvesting. 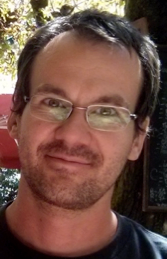 Bio: Adrien Badel graduated from Institut National des Sciences Appliquées de Lyon (INSA), Lyon, France, in electrical engineering in 2002 (MS degree). He prepared his Ph.D. at the Electrical Engineering and Ferroelectricity Laboratory of INSA Lyon. He received his Ph.D. degree in 2005 for his work on vibration control and energy harvesting. From November 2005 to November 2007, he was a JSPS (Japanese Society for the Promotion of Science) postdoctoral fellow at the Institute of Fluid Science of Tohoku University, Sendai, Japan. He is now a professor at the Laboratory of Systems and Materials for Mechatronics from the Université Savoie Mont Blanc, Annecy, France. His research interests include energy harvesting, vibration damping and piezoelectric actuators modeling and control. Bio: Tzeno Galchev is currently a Staff System Design Engineer at Analog Devices Inc., working on developing self-powered wireless systems. He received B.S. degrees in both Electrical and Computer Engineering in 2004, and M.S. and Ph.D. degrees in Electrical Engineering in 2006 and 2010 respectively, all from the University of Michigan, Ann Arbor. Prior to joining industry he was a Research Fellow in the Department of Microsystems Engineering (IMTEK) at the University of Freiburg in Germany. His research interests lie in the development of autonomous microsystems including the development of energy harvesting devices, sensors, actuators, and analog and digital integrated circuits. Dr. Galchev received a Marie Curie Fellowship award in 2013, an Alexander von Humboldt Fellowship in 2011, and is the sole recipient of the University of Michigan Excellence in Engineering Fellowship in 2006. He was bestowed the John Atanasoff Award in 2015 by the President of Bulgaria for significant contributions in the development of information technologies by young scientists. "Standardization Activities of Energy Harvesting Technologies in IEC"
Bio: He received M.S.E.E and Ph.D. degree in Electrical and Computer Engineering (ECE) from Georgia Institute of Technology, GA, USA in 1995 and 1997, respectively. After graduation, he worked at Georgia Institute of Technology as a research engineer for 2 years. He has also worked at Microsystem group in LG Electronics Institute of Technology as a Team leader of RF MEMS research for 6 years. In September 2004, he joined the faculty member of the department of Electronics Engineering in Kwangwoon University in Seoul, Korea. 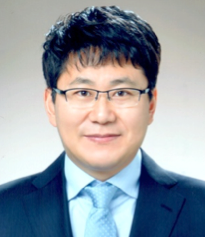 He is currently serving as a Director of Smart Sensors Convergence Technology Research Center and Industry-University & Institute Partnership Division Center in Kwangwoon University. He is also serving as a convenor of IEC TC 47/WG7 (Energy Conversion and Transfer) and a secretary of IEC TC 124 (Wearable Electronic Devices and Technologies). He has served and is serving as an associate editor for Micro and Nano Systems Letters (MNSL, Springer-Nature), a technical program committee member of IEEE Sensors, Power MEMS, International Microwave Symposium, MEMS, ICAE, KIEE MEMS, and KMEMS conferences, and as a referee for paper selection for publishing IEEE Transactions On Magnetics, Power Electronics, Sensors and Actuators A & B, JMEMS, Biosensors and Bioelectronics, Applied Physics Letters, RSC Advances, and etc. He has published more than 185 SCI(E) journal articles and 175 international conference proceedings and filed more than 110 patents. His current research interests include the design, fabrication, analysis, and standardization of micro/nano-electromechanical devices and packaging technologies: MEMS energy harvesting and storage devices, RFMEMS switches/tunable capacitors/filters/modules, packaging (wafer level packaging and micro-solder transferring), electrochemical bio and environmental sensors (glucose, dopamine, cholesterol, dissolved O2 and CO2, methanol, etc. ), and patchable bio-signal monitoring sensors for health care monitoring.